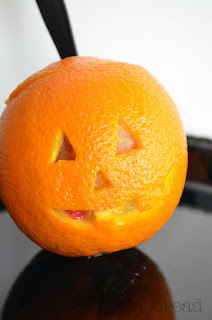 Amidst all the sweet treats for Halloween, this idea struck me as creative, healthy, and FUN! First, select an orange that looks pretty, and well....orange! 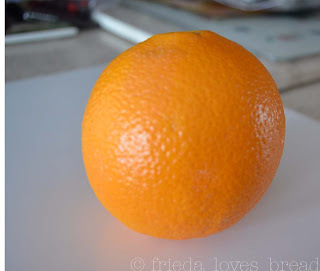 Some oranges are oblong, so I tested several oranges for stability. I used a spoon to scoop out the orange segments. In retropsect, I think a grapefruit spoon might have been easier.... guess you'll have to try it out and let me know! 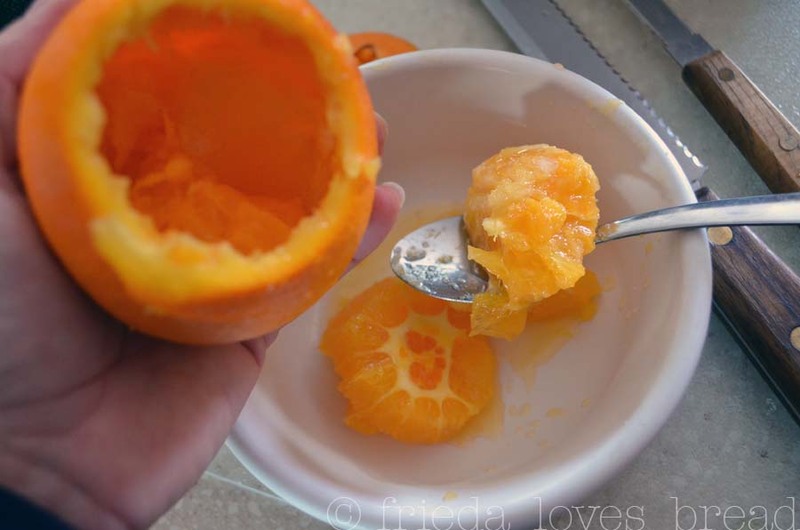 Cut a slit in the top to put a plastic spoon. 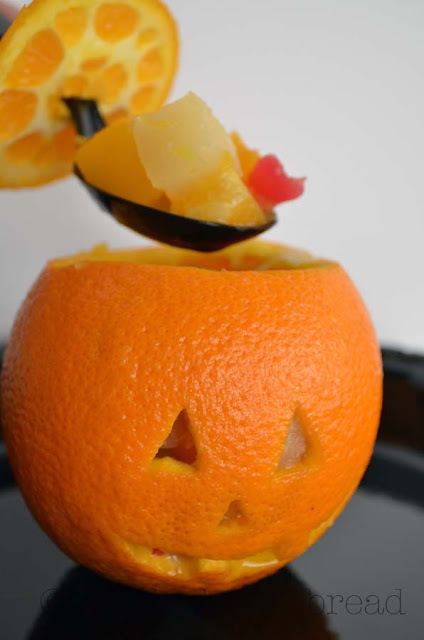 Your orange "pumpkin" is ready to be filled! 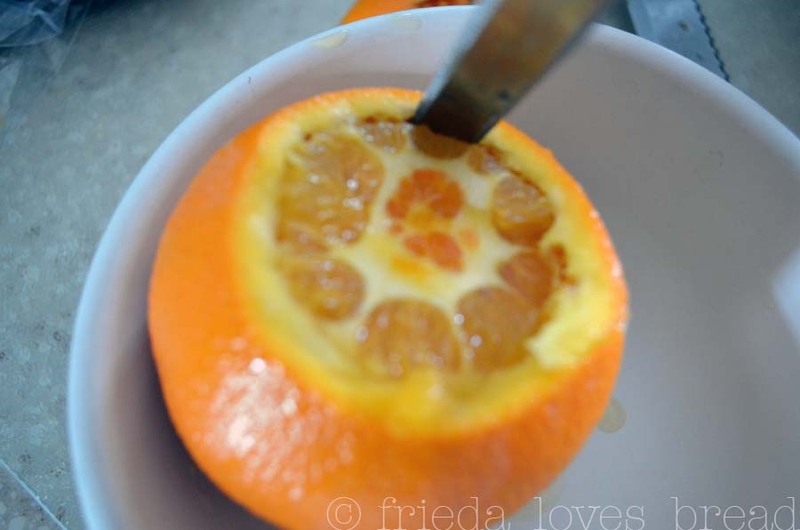 I cut up the orange segments and added it to a can of fruit cocktail. Of course, you can add any combination of fruit that hits your sweet spot. Are you ready for Halloween? I am! That is just too much fun! I can't wait to make these for my kids! That is so creative. Love it. We are excited to be celebrating our first anniversary today and our first give away. Come over and see. That's so cute. 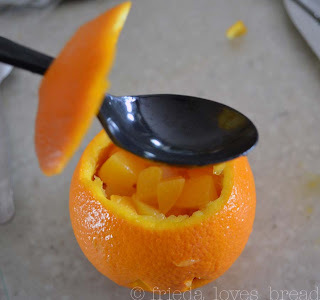 My mom used to make those with us, but we filled them with orange sherbet. 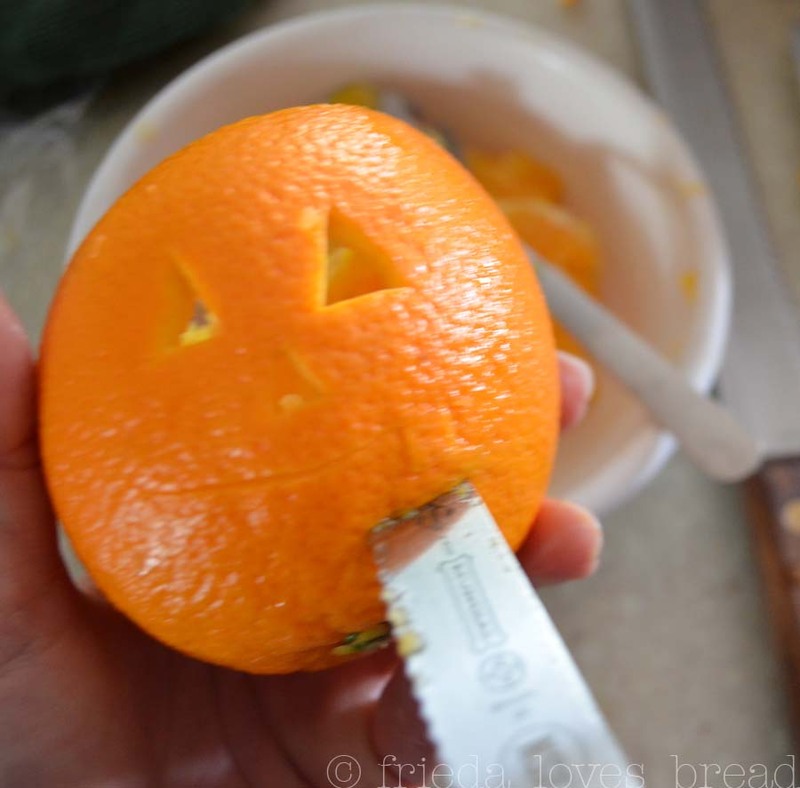 Great Halloween treat!